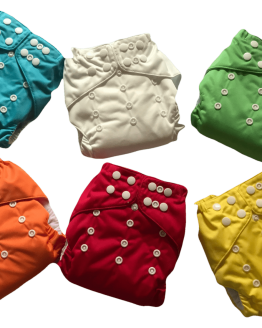 Dinky pocket nappies, designed in New Zealand. 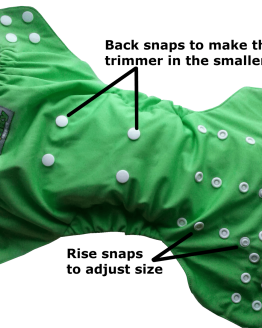 The one size fits most pocket nappy with a little extra. 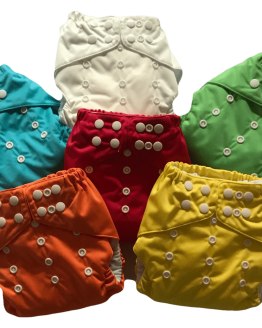 Features include: Snaps on both the front and back of the cloth nappy making this fit an even wider range of sizes. Gussets at the leg to prevent leaks Double row of snap closures at the waist to help prevent wing droop. Absorbent microfibre and bamboo pad that unfolds flat for quick drying. 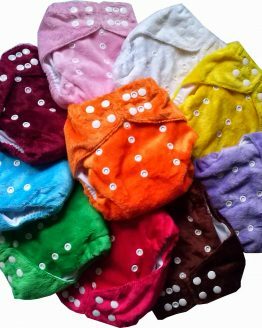 Large pocket for easy stuffing, unlike some pocket nappies, it’s easy to stuff the dinky pocket nappy. 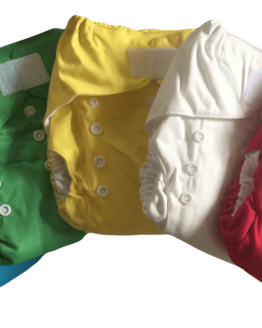 Available in 10 colours in PUL (Dinky pul nappy) or 10 colours in super fluffy minky fabric (Dinky minky nappy). Designed right here in NZ.